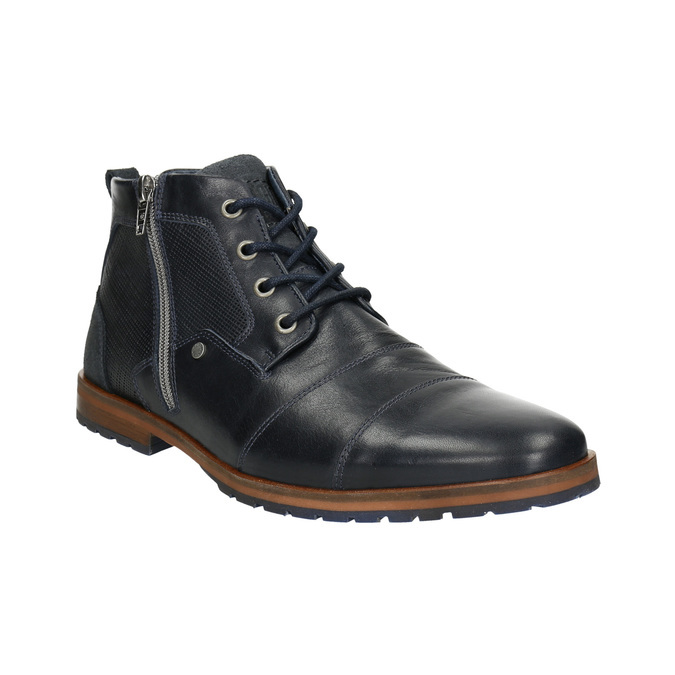 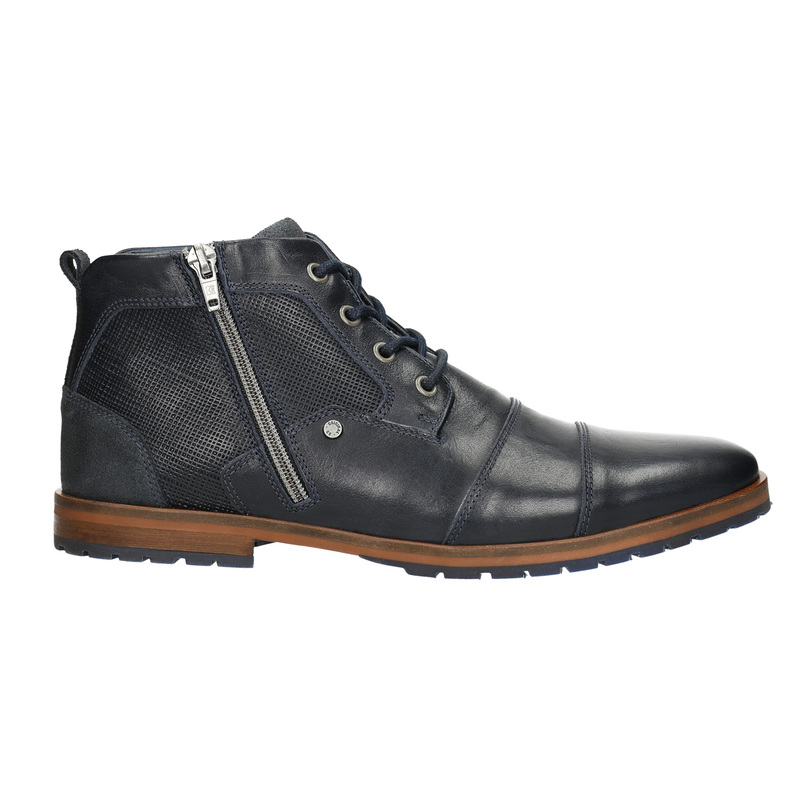 These leather ankle boots have a dark blue upper decorated with original texturing and stitching. 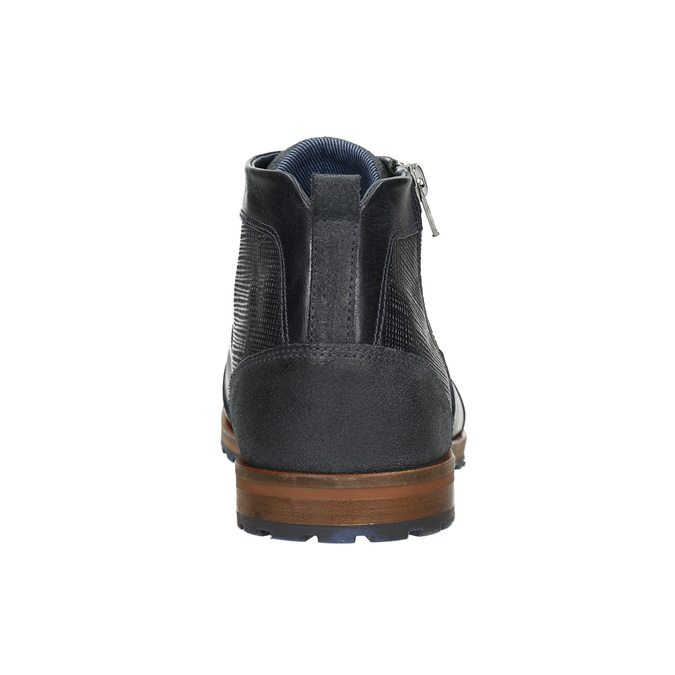 There is a distinctive zipper on the side that also makes putting them on easier. 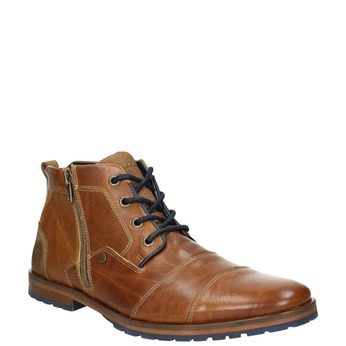 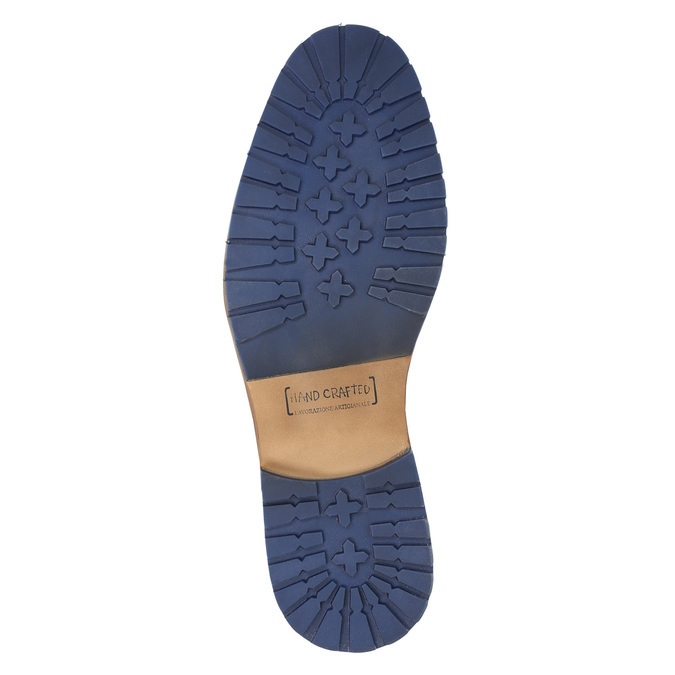 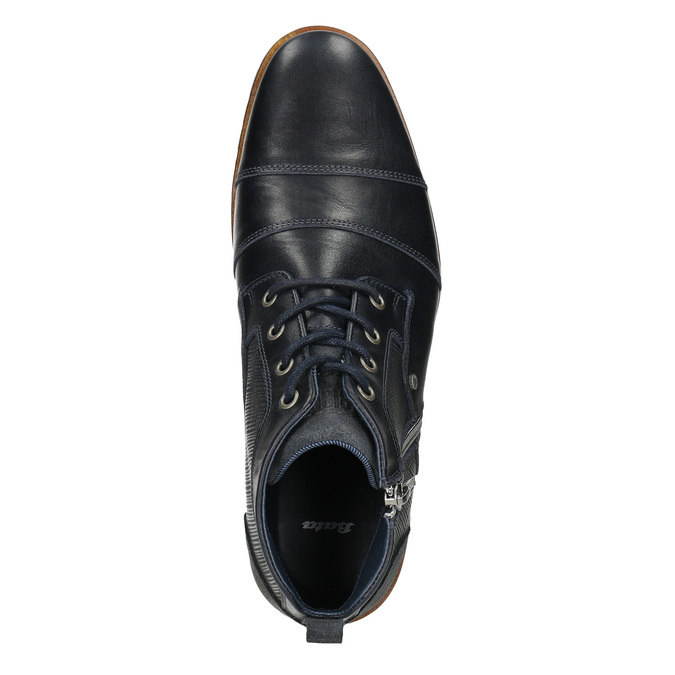 The sole has a fine pattern, thus making these shoes great for cooler days.